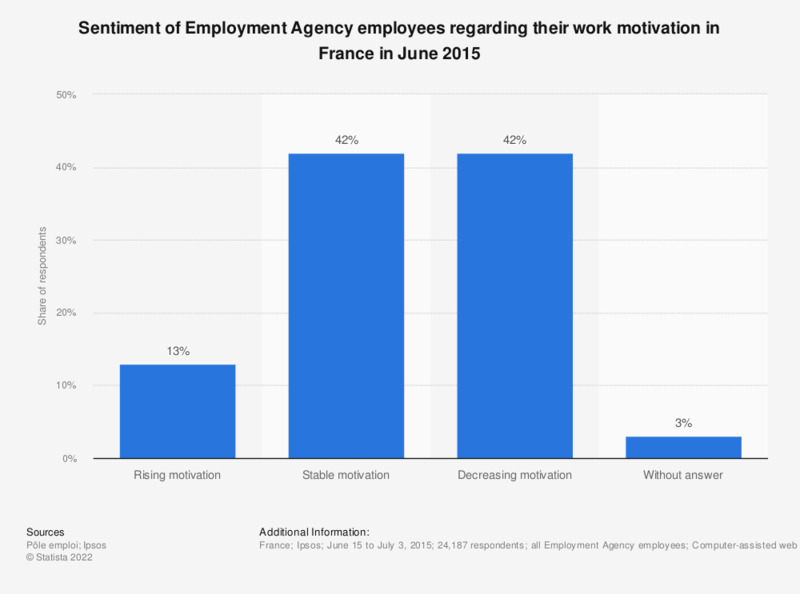 This statistic reveals the evaluation of Employment Agency employees on their motivation to work in France in June 2015. It can be seen that more than 40 percent of those surveyed felt that their work motivation remained stable. The question was formulated by the source as follows: "Today would you say that your work motivation..."
The source gives no information on the age of the respondents.